COST: $Egg Hunt is Free, small fee for pictures and snacks. Hop on over to Audubon Park for a chance to hunt for colorful candy and toy filled eggs. 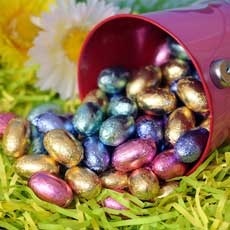 There will even be a few special prize eggs with tickets for prizes. Activities include bounce houses, face painting, pictures with the Easter Bunny for a small fee, and snacks for sale. No registration required.